Posted on April 25, 2017 . 9 Comments. 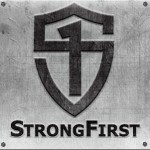 At StrongFirst we say, “Strength has a greater purpose.” This is a simple axiom with many layers. Regardless of age or gender, being “relatively” strong can open numerous doors and provide countless benefits. Thus, for many of us, it seems a no-brainer to spend time working on developing a strength base. Unfortunately, this mindset isn’t the case for everyone and this instinct to pursue strength may require a little teasing out—and for a few people, we may have to knock down some barriers. Open any exercise physiology textbook, search Google for the effects of strength training on health, or speak to a representative from the Heart and Stroke Foundation and it becomes clear that the research covering the benefits of strength training is plentiful—from increased bone density and lean muscle mass, to decreased blood pressure and stress levels, to aiding with anger management and self-esteem, the list goes on. In fact, you don’t have to go any farther than this great community to find the research. Dr. Hartle wrote a great article not that long ago on this very topic. There are also social benefits that are often overlooked. 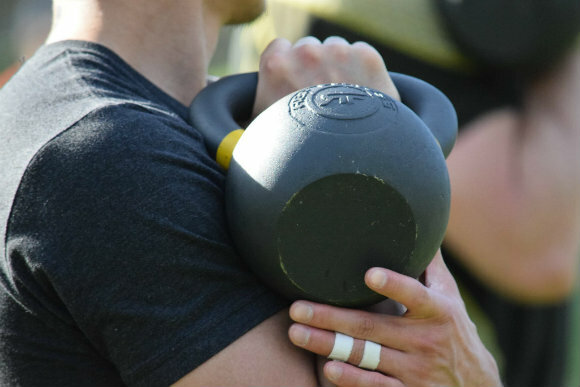 The camaraderie that builds between a group over the course of a fun and challenging training session, or series of sessions, is a bond unique to the strength training environment. Convincing someone of the amazing benefits derived from strength training can be hurdle number one. Once that is cleared, we must address alleviating some of the fears attached to strength training. 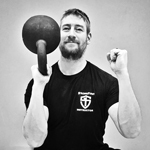 In my time coaching and leading people on their journey to fitness, health, and strength, I have had the privilege of working with a broad range of people. That said, a vast majority of my students are female and over the age of forty. I’ve come to notice that within this population there seems to be a stigma or an aversion to strength training. There are many reasons for these fears, but whatever the reason, these fears are holding many women back from experiencing the benefits that strength training has to offer. Sometimes a female student has anxiety around wanting to “just tone and not get too bulky.” In conversing on this matter, we can explain that “bulkiness” doesn’t come easy for most women. Just ask any female bodybuilder if her impressive physique occurred by mistake. Or maybe there is an apprehension of injury or aggravating a previous injury. This concern can often be addressed through the use of tools like a medical history questionnaire, using and adhering to the Functional Movement Screen, and following a proven system like StrongFirst, which is designed with safety as a forethought not an afterthought. Then there can be the fear of greater expectations that come with greater strength. It might seem counterintuitive at first, but being able to “do more” is a good thing, and is an aspect to be admired, not something to be dishonored by hiding your skill of strength. When I share a story of a student who surprised herself and maybe her husband by moving a wheelbarrow full of rocks or some other such feat that previously seemed “impossible,” that fear can be rapidly quelled. Generally, by having a rational discussion about the truths surrounding strength training, we can mitigate these fears. Once we speak and are able to agree that strength training is very little of what is feared and much more of what is desired, we can move on to the last and tallest of the hurdles—actually using the loads that will help create all of the great benefits that come from lifting heavy things. The Principle of Progressive Overload is one of the many guidelines that govern the design of training programs. This principle states that in order to cause an adaptive response in the body, there must be a gradual increase in the stress (training) placed on the body that is greater than its current abilities. Now in reality the process isn’t nearly this simplistic, but my explanation is easier to understand than getting caught up in the science. However, the science exists for those who choose to look for it. In the modern world, one of the best and safest ways to cause this adaptive response is through fitness training. When it comes specifically to strength training, progressively owning and then increasing the load you are using will allow you to apply this new and required stress on the body. This doesn’t mean we lift the heaviest weights we can and throw safety or technique out the window. One important topic my students and I speak about is the difference between “failure” and “technical failure.” Failure is when we can’t complete another rep. Technical failure is when we can’t complete another rep while maintaining correct form. I encourage my students to always leave a little in the tank at the end of each set. During sessions focusing on strength, we generally stick in the 5-10 repetition range, and my suggestion for weight selection is to choose a weight that allows you to get the number of prescribed reps for that exercise, with 2-3 reps left in the gas tank. Your first and last rep should share the same integrity. If we are aiming for five and you barely got or missed your fifth rep, the load was too heavy. But if you got your five with five or more reps left in the tank, the weight wasn’t heavy enough. It is not uncommon for me to say more than once in a session, “Don’t be afraid to challenge yourself” when I see bells going up with ease while technique is maintained. It’s important to not get too caught up with the numbers. For example, when we are deep in a session of barbell deadlifts, if the bar goes up and the student and I agree he or she is ready, then I’ll help my student put more weight on the bar. We’ll continue to do this until he or she has reached the edge of his or her comfort zone/technical integrity or all of the reps have been completed. But we won’t do the math as to how much weight is on the bar until he or she is done. There has been more than one occasion that a student will shy away from a lift without even trying, when he or she finds out how much it weights. Eighty or a hundred pounds can sound much heavier than it actually is. In fact, many of my students have children and asking them how much their child weighs and how often they pick their child up can trigger an encouraging revelation. We use lift integrity to dictate the load on the bar, not the number itself. Once your student realizes how strong he or she really is, you can start talking numbers and setting goals, but for the beginner, focus on form and build confidence. 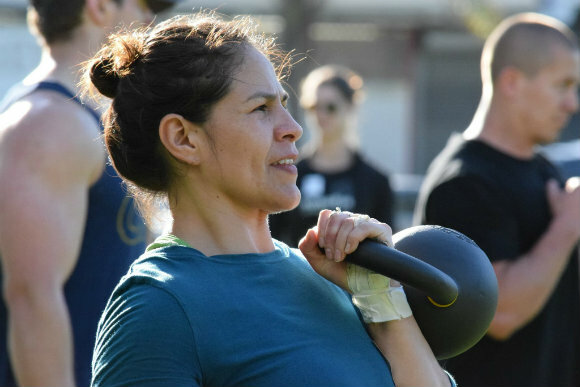 One of my favorite things is to see the look on students’ faces when they realize the scary looking bar or kettlebell is actually very manageable—and then they lift it again without hesitation the next set or session. The health benefits strength training provides notwithstanding, there is one more benefit that doesn’t necessarily come to mind right away—but is arguably the most important one. Life is unpredictable, ballistic, and volatile. 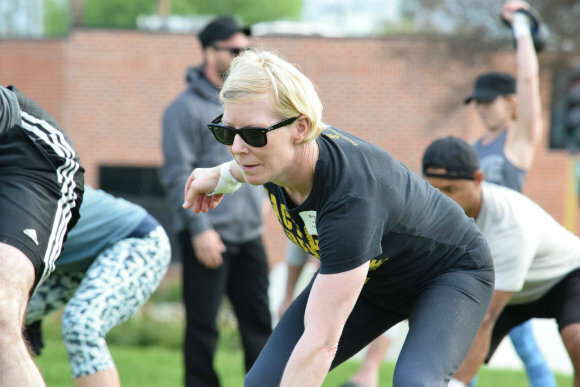 It is so important for all of us to learn how to create tension and experience the feeling of being under load while in a safe environment so we can be prepared to do the same thing outside the safety of the gym. Understanding how to naturally and instinctively create tension within the body can be the difference between incurring an injury and escaping with a scare. The best way to teach your body to do this is through the practice that comes from intelligent and progressive strength training. For us, it ties into strength having a greater purpose. There is something special about working with a group of women who span a vast age range with different backgrounds and goals who encourage each other, feel comfortable coaching each other, and get genuinely excited for each other when they reach a new best. Building a culture that encourages, accepts and celebrates strength as an attribute to be embraced is the best way I have found to ensure my students are able to enjoy the benefits that strength training has to offer. Once we can establish the benefits of being strong and jump the barriers caused by misconceptions of strength training, we can get into using loads that challenge and change our bodies. From there, it quickly becomes clear that there truly is nothing wrong with being strong. I’ve read that women can handle more volume than men and recover slightly faster? Any merit to this? I can’t speak to your question to be honest. I feel that there maybe a few more factors that play into this though. I don’t expect to be getting a heart attack anytime soon while I’m on S&S at the 40kg bell and cranking out one arm pushups on the side. I’ll put it this way. Matt, Thank you for the article. Thanks for your question. Unfortunately I’m going to have to answer it with “it depends”. Things like goals, age, training experience, injury history, athlete vs non-athlete etc are going to dictate your reps/sets scheme. I would agree that sets of 10 would not be effective for developing pure strength, however that would be the same for men and women. I am by no means an expert and there are many opinions out there, so I am inclined to differ to minds like Pavel and Mark, who have poured over the recent research to develop their recommendation. For your friends, my concern wouldn’t be so much 3 sets of 5 vs 5 sets of 3 as much as it would be, to get them in and get them comfortable with the movements. You can wave the loads, sets and reps to some degree but the quality of the reps should be the focus. Especially if they are new to strength training. More understanding will come from doing then will come from splitting hairs. In your experience, for most women, do sets of 5 allow for continual progress in the powerlifts in the same way they do for men? It’s ok to disagree with Mark’s claim, its just experience, which I don’t have, nor will I have anytime soon. You called me on my political response Jonathan haha. The direct answer to your question is yes. With my students (women and men) we spend a lot of our strength time in the 5-8 rep range for 3-8 sets and they seemed to enjoy it and see progress. I have a student who is a 20 yrs, female in the 120 lbs bw range who goblet squats the 60 pound dumbbell for 5 quality reps. I also have a student who is in her 60’s with a history of back injury (recovered and cleared now through many modalities and lots of patience) who deadlifts the 36 Kg bell for reps with total comfort and confidence. Do either one of them NEED to lift more to meet their requirements of daily life, probable not. We don’t use these loads every session, but they are also considerably more than when they started strength training. I take into account that my students are business owners, office workers, University students and hard working parents as well. My goal is for them to be able to have fun with our sessions and enjoy their lives without being sore or broken from their fitness training. I hope that is a better answer to your question. This is good stuff and really helpful! Matt, in your experience, do you find there is a trend in reps/sets that are better for women than men or vice versa? I’ve heard conflicting things, and when helping friends get into strength training, I’d like to be able to give advice that will lead to the most progress. Mark Rippetoe says women should train with lower rep sets than men for pure strength. He says where a man would use 3 sets of 5, a woman would want to do 5 sets of 3, for example. He also says sets of 10 are pretty useless for pure strength for women, and the percentages involved are like those for men training with sets of 20. Then I’ve seen other suggestions that say whereas men may train strength with sets of 1-5 reps, women should stay in 5-10 rep ranges. Not only do these differ, they are completely contradictory. What is your experience with good rep/set schemes for women? Are fives just a solid baseline regardless? Does Pavel’s 3-5 sets of 3-5 reps 3-5 times a week work just as well for both guys and gals?